Woodfin succeeded in his bid to unseat Birmingham, AL, Mayor William Bell. Birmingham’s Mayor William Bell, first elected in 2010, was supposed to have an easy re-election. A poll released in early August found that 57 percent of his city’s residents thought he was doing an “excellent” or “good” job. 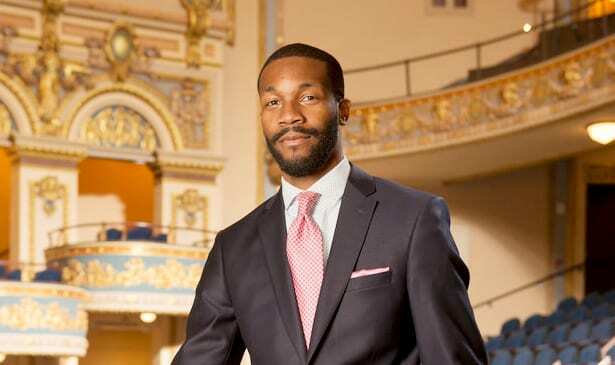 But populist challenger Randall Woodfin, a 36-year-old former board of education president backed by the Bernie Sanders-backed campaign group Our Revolution, topped Bell in the first round of voting in August. On Tuesday night, Woodfin finished the job in the runoff, stunning Alabama and winning the mayor’s race comfortably. With 46 of 71 polling stations reporting, Woodfin was leading by 20 points. “We sent nearly 8,000 get out the vote text messages to supporters and sent over 70 volunteers to his campaign,” Diane May, communications director for Our Revolution, told The Intercept about the group’s support for the candidate leading up to the first round. In advance of the runoff, they made over a thousand calls and sent 11,000 text messages to voters. Sanders himself phoned in robocalls for Woodfin. The Woodfin campaign’s director of field operations, activist Daniel Deriso, was an alum of Sanders’s 2016 campaign. Woodfin’s platform is by itself far from radical in post-2016 Democratic politics. He seeks to make community college free for students who graduate from Birmingham’s high schools. He wants to expand pre-K, invest in public transit and job training. Woodfin backed Democrat Hillary Clinton in the 2016 primary, making the Our Revolution backing something of a wound-healing exercise. He is also looking to boost the city’s police force; Birmingham has the seventh highest homicide rate of cities of over 100,000 people. He had his own personal connection to the city’s sky-high crime: his nephew was shot and killed during the course of the campaign. The boy’s father, Woodfin’s older brother, was killed in a shooting five years before that. In November, Atlanta’s voters will go to the polls to choose the next mayor. One of the candidates, former state senate Democratic whip Vincent Fort, a longtime foe of Wall Street and the city’s Democratic establishment, is also being backed by Our Revolution as well as Sanders himself. Although the twelve-candidate non-partisan race makes the results difficult to predict, Fort’s impact on the race can be seen in the changing behavior of the city council — it recently voted to raise the wages of city workers to $15 an hour and decriminalize small amounts of marijuana, both causes Fort had worked towards for years. Should Fort succeed, the largest cities in Mississippi, Alabama, and Atlanta will be run by mayors running from anti-establishment to downright radical — all within the span of six months of elections.